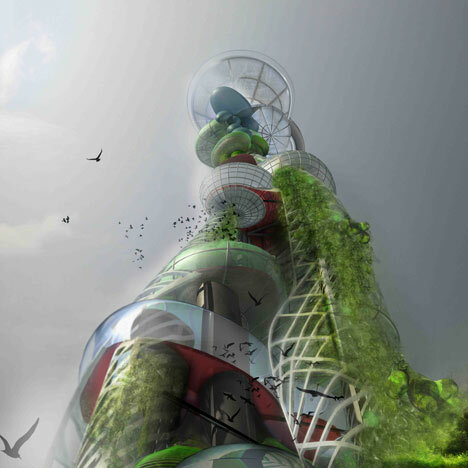 This algae-producing tower designed by Sir Peter Cook and Gavin Robotham of London studio CRAB came second in the recent Taiwan Tower Conceptual International Competition. 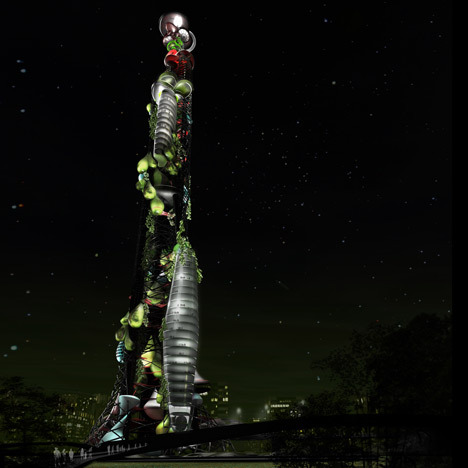 The project, a conceptual design for Taichung in Taiwan, features a tower with a series of steel cages attached that will be covered in algae to produce biofuel. The competition was won by this design featuring floating observation decks attached to giant helium balloons. From a field of 237 entries from 25 countries, London’s Cook Robotham Architecture Bureau will receive the $ 65,000 second prize for a tower that is based upon the growing of algae in layers of droplets. The entire tower is inspired by the creation of energy. Living energy which must be……… Visible living energy SYMBOLISING THE VISIBLE ENERGY, ENTERPRISE AND INVENTIVE OPTIMISM OF THE TAIWANESE PEOPLE. The droplets are the primary elements of this process. Their activity, presence and form resonate throughout the scheme. Much of the tower is open to the public to view the processes at close quarters. Even from the lifts, the daily state of vegetable husbandry will be visible. A variety of different arrangements of plantation and localized environment are distributed over its length. 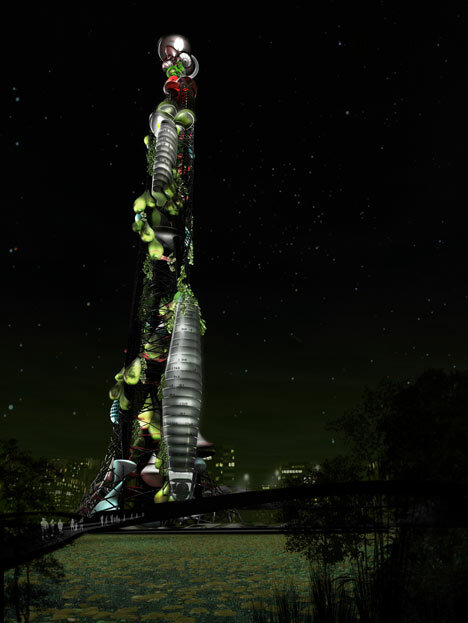 The principal purpose of the tower is to CREATE ALGAE. When watered and filtered the algae create BIOMASS used as food for fish and plants and for making paper and BIOFUEL for powering engines. This process takes CO2 (a known hazard in Taiwan) out of the environment. In the basic tower we provide 10.888 M2 surface of algae which produces 3,266,400 liters of oil and produces several thousand tons of biomass in a year. The same structure could be further developed – with accumulated Income and more bags to a maximum of double the surface and thus creating 6,532,800 liters of oil. There are 3 office zones, all are used by the City development Authority. THE MUSEUM at the base of the tower contains 5 floors On its top are viewable algae systems. At middle levels are exhibition zones based of techniques developed by the authors at the Kunsthaus Graz (Austria) and the War Museum of the North. 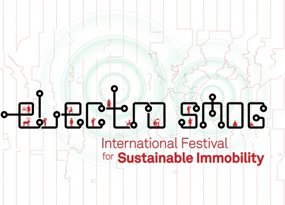 Another speculative approach to sustainability, urban "farming" and energy production in dense areas.